Weather has put us in the deep freeze here in Michigan, with overnight temps in the 20s Fahrenheit and just barely above freezing during the day. 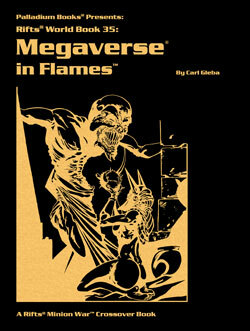 However, we are burning hot at Palladium Books. 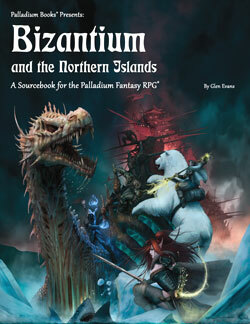 Work on The Rifter® #68 and Bizantium and the Northern Islands™ (for Palladium Fantasy®) is coming along nicely. Both are excellent books! And the artwork, wow. 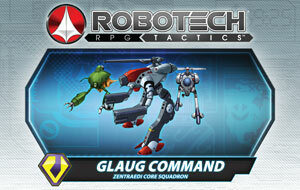 Another gazillion copies of Robotech® RPG Tactics™ shipped out this week. Okay, it was more like 1,200 packages to Kickstarter backers, but that’s a lot. We will finish packing USA packages over the weekend and start shipping to Canada on Monday! Then we start prepping the overseas packages! Meanwhile, we are shipping Christmas Surprise Packages like crazy, too. Awesome. Keep those orders coming. The shirt is at the printer and I have approved the sample with the embroidered CS logo. (I can hardly wait to get mine!) Looks great. It was my impression that the shirts should be finished in another week or two. 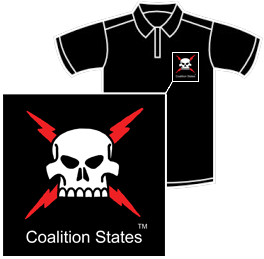 The Coalition States Polo shirt is an awesome gift for Christmas, holidays, birthdays, anniversaries and just because you gotta have one. 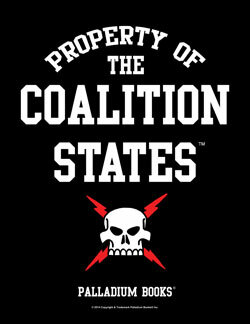 It is a high quality, 50/50 cotton/poly blend, hemmed sleeve, black polo shirt with an embroidered Coalition symbol of the Death’s Head with red lightning bolts and the words “Coalition States” underneath it. See the full description elsewhere. Available in sizes Medium to 5XL. Sorry, this item will NOT be available in Christmas Surprise Packages and is only available from Palladium Books. Another great issue that is in final production. The cover is done and looks awesome, artwork is being completed and articles and source material have been edited. 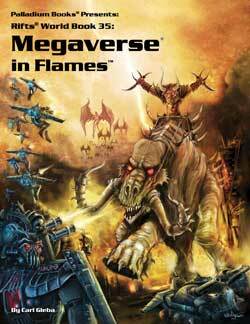 This issue includes 17 pages of “official” Minion War/Megaverse® in Flames material that you are going to love. Meaty stuff that really rocks and sets up all kinds of adventures. 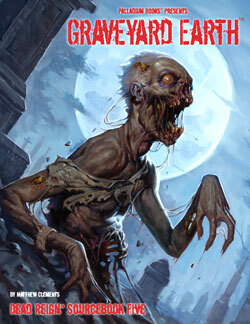 Plus other great stuff for Dead Reign™, Beyond the Supernatural, Rifts® and Heroes Unlimited™. I think The Rifter® is sometimes overlooked as a player and G.M. 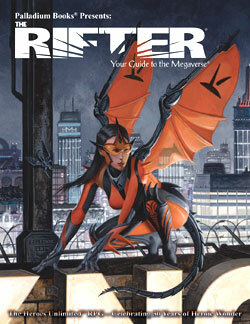 resource, so remember, everything in an issue of The Rifter® can be adapted to almost any game setting. Our printer has told us we may not get it to ship until the first week of December. The final edit is well underway and artwork has been coming in like crazy. In fact, one of the surprises is what Chuck Walton keeps calling “the return of Kevin Siembieda art.” As many of you know, Palladium Fantasy is my personal, all-time favorite game line. I love it. The early books featured a lot of my art. Not so much in the last couple of decades. And for good reason, I have plenty of great artists. I don’t need to do artwork, I need to be writing and designing games. However, as an artist, sometimes the muse grabs you and demands you do some artwork, and that’s what has happened with Bizantium and the Northern Islands™. So I’ve knocked out a handful of illustrations and some that may be used as borders. I hope you enjoy them. I was surprised to see that my own art has inspired some of the other artists, which is pretty cool. Anyway, I think you’ll really enjoy Bizantium and the Northern Islands™ – coming very soon. We’ll get this book finished in the next week or two, but the printer will not be able to get it to us until the first or second week of December. Will keep you posted. Might be earlier. 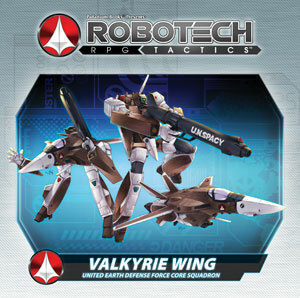 Been thinking a lot about this title and others for Robotech®. As soon I’m done with the above titles, I’m on to finishing this book! 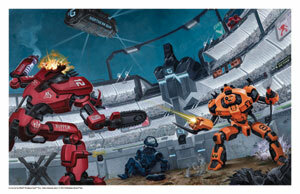 It will be the most impressive yet, with a great deal of new mecha and aliens. Fun, fun, fun. Likely to be a January or February, 2015 release. We’ll make sure to get some sneak previews of upcoming books into the available selection over the next few weeks. 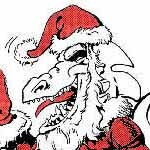 Meanwhile, spread the word that there are 90+ Palladium Books titles available as PDFs on DriveThruRPG.com with more to be made available in the coming weeks. 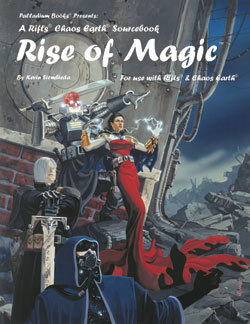 They currently include the Coalition Wars®/Siege on Tolkeen™ series, Splicers® RPG, The Rifter® issues #1-56 (with more being added soon), and first edition rules of the Rifts® RPG, Beyond the Supernatural™ RPG, Heroes Unlimited™ RPG, The Palladium Fantasy RPG®, and related 1st edition sourcebooks for each. And more! Like what? Like Fantasy Paper Miniatures and Game Master Kits for digital download. They are available only as PDF files and were designed special to help you run your games and build campaigns. There are also sneak previews of books and other good stuff. Check it out! And let other gamers know they are available too. We’ll be making more available on DriveThru in the weeks and months to come. So take a look on a regular basis. WARNING: Only “4” Shipping Weeks till Christmas! Order your Palladium Christmas Surprise Packages soon! Time is running out faster than you might think to get this great gift for yourself or other gamers! To guarantee delivery to most places in the USA and Canada, in time for Christmas Day and other holidays around the same time, we NEED to have received your Surprise Package order by December 15 – that’s ONLY FOUR weeks away. Order your Holiday Surprise Package sooner than later. FYI: This date applies to shipments going out at the less expensive methods of shipping. UPS and Priority Mail will give you some extra days. If ordering “books” by Media Mail, you’d better get us that order by December 7, seriously. I know some people are waiting till December so they can request a copy of Bizantium and the Northern Islands™, The Rifter® #68 and Graveyard Earth™, but while you may include some or all in your Wish List of 10-12 items, you may not get them – or you may want to order two or more Grab Bags – so don’t delay, order today! The best deal in gaming. I have been putting $90-100 worth of product in 99% of the Surprise Packages that have shipped so far and will continue to do so (you are guaranteed $86-$90+ worth of gaming products). People are loving them, as usual. And why not? For only $42 plus shipping and handling you usually get $90-100 worth of stuff. That’s why we ask for a long list of goodies that we can make selections from. And if you want autographs, we’ll sign every book. We typically sign something in the neighborhood of 8,000 books every season! That’s a lot of work, but worth it to make our fans grin like little kids for the holidays. Palladium staff signs EVERY book, if you request autographs. You always get my signature (Kevin Siembieda) and those of available staff and freelancers; usually 5-7 signatures per book, but sometimes more. For many of you, this is the only way to get autographs, so take advantage of it. We are happy to do so. It’s our way of saying thank you and Happy Holidays. Surprise Packages are great gifts for Christmas, Hanukkah, birthdays, anniversaries, housewarmings, and any occasion. They are also an excellent way to try a new game setting or fill in holes in your collection. You can also request prints like the two Northern Gun prints, Dog Boys Playing Poker print, Chuck Walton’s Lemuria prints, heck, any print we offer, plus Rifts® Christmas cards, bookmarks, back issues of The Rifter® and other goodies. Buy one Surprise Package or six. Please spread the word. We only advertise this offer via our website, The Rifter® and word of mouth. That means you, so please tell your fellow gamers about this great holiday offer. And please, feel free to leave a short comment when you place your order. We enjoy reading brief comments and suggestions. In fact, I’ve posted a handful in this Weekly Update. Our way of giving a nod of thanks to them, and sharing their comments with other gamers. 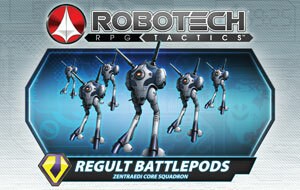 Your order will ship as soon as the Robotech® RPG Tactics™ rewards to our faithful Kickstarter backers have left the warehouse. Still making you one of the early recipients of this product. This game makes an awesome gift. Note: Your credit card will NOT be charged until your RRT order is getting ready to ship. 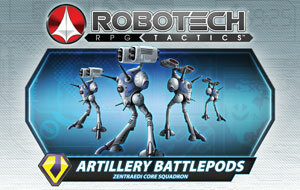 Note: We only have 50 Robotech® RPG Tactics™ Battle Foam bags available. Once they are sold out it will be months before we manufacture more, if ever. 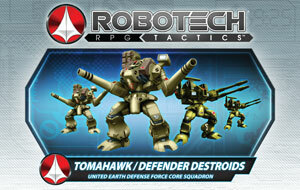 Robotech® RPG Tactics™ Box Set (Main Box Game) – Cat. No. 55100 – $99.95 retail price. We will need to package them all, making sure each package satisfies the country’s shipping requirements (the maximum size in the EU is smaller than what is allowed in the USA, making things a little trickier), palletize them all by type, then put them on a ship and send them overseas to a central location for mailing throughout the European Union. A similar process will follow for Australia, which has a surprisingly large Robotech® fan base. It is our understanding that this method of shipping should reduce the end cost to the recipient. That said, the recipient will, of course, be responsible for any and all fees, taxes and duties their government may charge. What taxes, duties and fees MAY be applied is completely out of Palladium’s hands. Again, it is our understanding that this method of shipping will mitigate the cost to the recipient. NEED Correct Overseas and Canada Addresses! 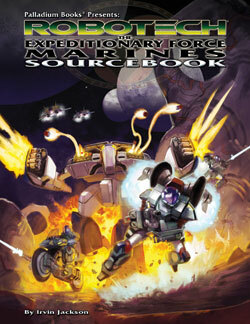 FYI: We have 5-6 US packages that have been returned to Palladium Books due to incorrect addresses. If you are in the USA and have moved without telling us, please call the Palladium office at 734-721-2903 with your new information. ORDERS ARE SHIPPING EVERY DAY. Having CORRECT and UPDATED addresses are absolutely critical for backers in CANADA, EUROPE and other countries. Contact us immediately! Please save yourself time and money and make sure your address is correct right NOW. Thank you. HELP Wanted: Volunteers wanted the weekend of November 15 & 16 and maybe November 22 & 23. We are continuing to ship like crazy for the next few weeks. If you are interested in helping, even if it’s only for a few hours – please give the office a call (734-721-2903). Thanks. We are happy to trade some Palladium RPG products for your help. That involves making boxes, packing boxes, taping boxes and placing them on skids. Please call first. Do NOT just show up. Thank you. A special thank you to the many people who helped us ship last weekend. Jimmy B. Hill and Kyle Slayton from Ohio, Christopher Ings who has been amazing, helping us every weekend we’ve been shipping; so have Nathan Hanish, Mark Dudley and Chuck Walton. Of course, the entire staff (Wayne, Jeff, Julius, Alex, Matt and myself) were here working away and Kathy Simmons made us her delicious Sloppy Joe recipe for lunch. Yum. 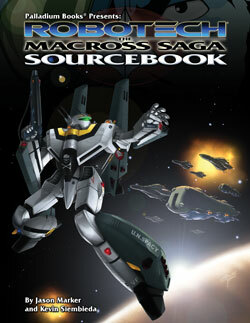 There was a palpable excitement and joy to be FINALLY able to ship out Robotech® RPG Tactics™ nonstop. With containers #4 and #5 in the warehouse, we were able to ship like crazy, and that’s exactly what we have been doing. It feels good. Keep spreading the word! The 2015 Palladium Open House is going to be the best ever. Yow, we are unbelievably busy. I’m trying to post more Murmurs and Updates, but the days just vanish in the blink of an eye. The other day, Jeff Burke and I started working on some stuff in the warehouse and the next thing we knew, it was 6:00 PM. A true whirlwind of a day. Since the crew has been working every weekend for some time now, I gave them a surprise day off on Tuesday. It was a much welcomed relief and the day I did a lot of artwork at home, so I guess I was still working. But doing art is so much fun, it didn’t really feel like “real” work. Wish I had more time to do art, but it was nice getting back into the saddle. 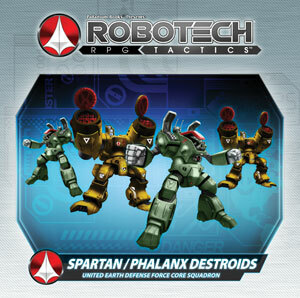 Anyway, right now we are hellbent on getting the next few books to the printer and all of the Wave One Robotech® RPG Tactics™ products on their way to our Kickstarter backers. Have a wonderful weekend and game on. 96 pages – $13.95 retail – Cat. No. 168. Ships end of November/early December. Sea Serpent ships! Dead serpents turned into deadly, massive attack ships (as depicted on the cover). Plus the forgotten race who creates these ships and threatens sailors in the northern seas. Written by Glen Evans. Additional text from Matthew Clements and Kevin Siembieda. Available end of November. It has been sent to the printer, and should be ready to ship in about two weeks (end of November). Think Christmas, holidays, birthdays, anniversaries, and how much fun this is. 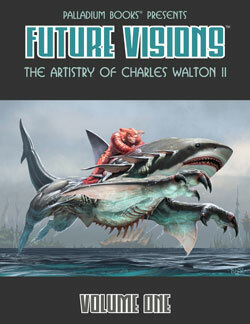 Note: Available only from Palladium Books. Sorry, this item will NOT be available in Christmas Surprise Packages. Please PRE-ORDER the CS T-Shirt as soon as possible. Your credit card will NOT be charged until this item is made available in the online store. Especially the big sizes and small or you might miss out. We are only going to produce enough to cover initial pre-orders, plus a small number of additional shirts.